Are you interested in discovering the extraordinary story of a Canadian who was born in China and later returned to the People’s Republic of China as Ambassador of Canada? Would you like to learn about the subtleties and the depth of the work performed by Canada’s ambassadors abroad? Thanks to the recent acquisition of the Arthur R. Menzies fonds by Library and Archives Canada, you may now access this outstanding material. These archives include thousands of handwritten letters detailing the personal and professional life of Arthur Menzies, a diplomat who worked primarily in Asia but also represented Canada in over a dozen countries during his 30-year career. These archives, carefully preserved by the Menzies family for over half a century, will enable researchers to learn all about the incredible life and career of His Excellency Ambassador Menzies. The Menzies family set out to explore the world in 1928. 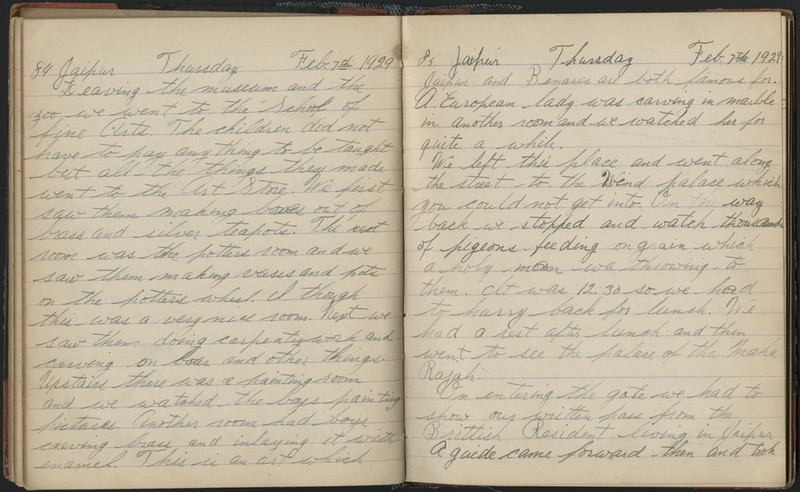 This inspiring adventure is described in great detail in the World Trip Diaries kept by mother Annie and the family’s three children: Arthur, Frances and Marion. This part of the fonds helps us to understand the first extraordinary international travels by Arthur Menzies. It is also interesting to consider these experiences in relation to the later duties of Ambassador Menzies in Asia, Oceania and Europe. 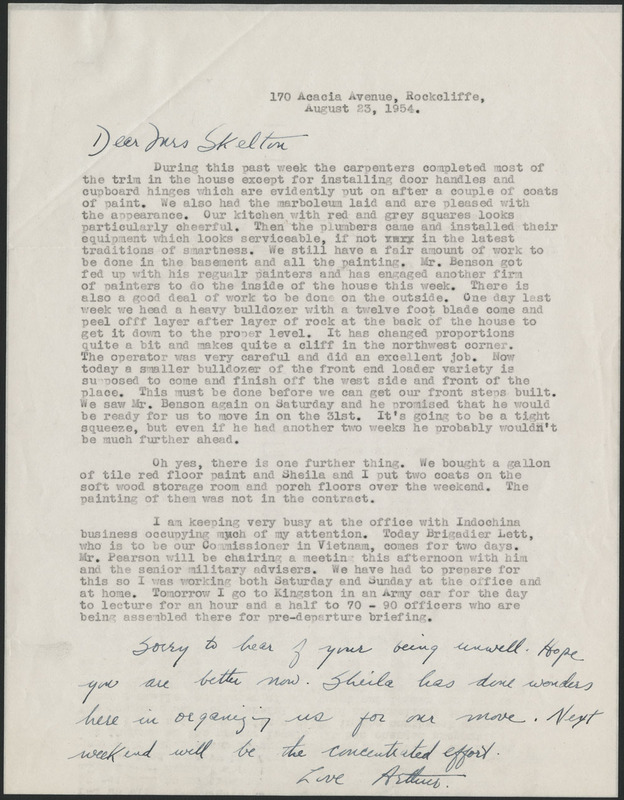 The Correspondence Series is certainly one of the most interesting series in the fonds. The series consists of more than 10 boxes of correspondence (over 2 metres of letters, with each box containing hundreds of letters!) sent by or to the Menzies family. This correspondence will allow Canadians to see the complexity of relationships with family and friends when diplomatic postings require part of a family to move overseas, while the rest of the family stays in Canada. The evolution of these relationships over time, such as when the children are older and choose not to follow their parents to overseas postings, is fascinating. One can also sense the attachment to friends even though the family is living far away for several years. The correspondence is rich and constant between the many friends, colleagues and members of the Redpath, Menzies, Sedgwick and Skelton families. The period from 1965 to 1972 was the subject of a book, Australia & the South Pacific: Letters Home, 1965–1972, published by Arthur Menzies in 2009. The variety of sources in this series will satisfy even the most meticulous researchers! Ambassador Menzies represented Canada overseas at key moments in history. For example, he was High Commissioner to Australia when the Fiji islands gained their independence from the United Kingdom. Arthur Menzies thus became, de facto, Canada’s first High Commissioner to Fiji. He also kept his post in Australia and maintained ties with other British colonies in the region that would become independent later in the 1970s, such as Papua New Guinea and the Solomon Islands. 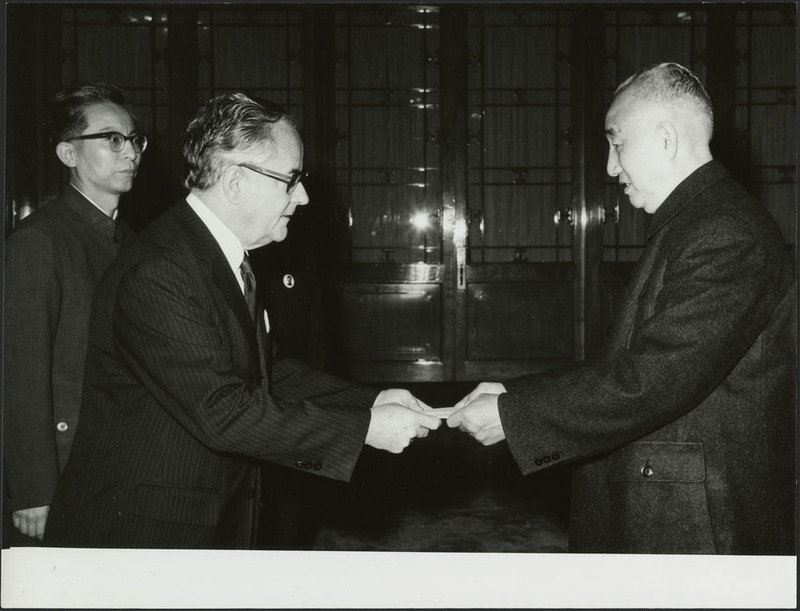 In what was probably the most important posting of his career, Arthur Menzies was appointed as the Ambassador of Canada to China and Vietnam in 1976. His fluency in Mandarin and his experience were undoubtedly strong factors in his selection. The posting to China meant a return to the country of his birth for Menzies. The series of archival fonds covering this period is rich in photographs, and it documents the dozens of places that Arthur and Sheila Menzies visited in all parts of the two countries. Arthur Menzies also wrote numerous books and articles, mainly about his life as an ambassador. The fonds, which is largely accessible to all, enables us to consult the notes and drafts that led to the final publications. Cold Warrior: My Career in International Peace and Western Security, 1962–1982 by Arthur Menzies. Newcastle, Ont. : Penumbra Press, c2012. The Far East by Arthur Menzies. Ottawa: Canadian Legion Educational Services, 1944. Australia & the South Pacific: Letters Home, 1965–1972 by Sheila Menzies and Arthur Menzies. Manotick, Ont. : Penumbra Press, c2009. 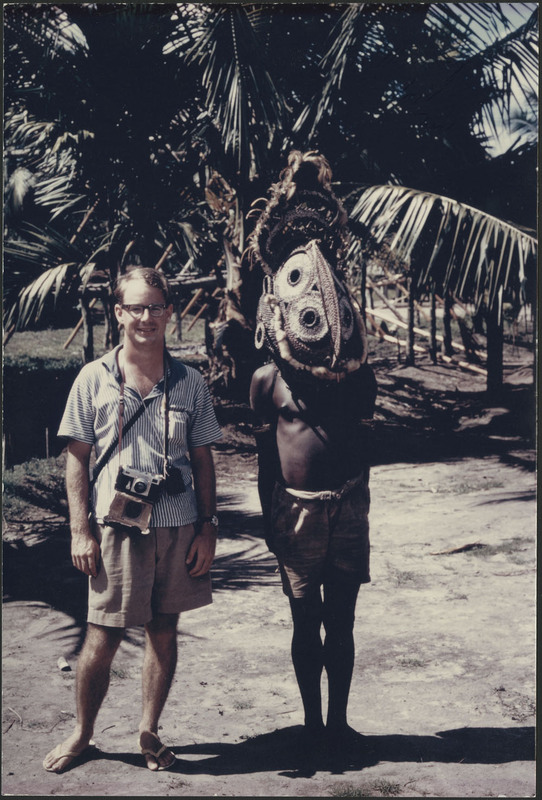 The fonds contains an extraordinary number of photographs (5,103: 1,300 black-and-white and 3,803 colour photos) that enable us to find out about regions and parts of countries that are still difficult to visit today, such as Fiji and Burma (Myanmar). These visual aids often include dates and annotations. A more thorough search could uncover the specific itineraries of advocacy missions around the world by Menzies as Canadian ambassador. It is now possible to conduct more in-depth research into this key figure in Canada’s diplomatic history in the 20th century, thanks to the vast array of material in his archival fonds at Library and Archives Canada. The Arthur R. Menzies fonds awaits your discovery! Patrick Latulippe is an archivist in the Science and Governance Private Archives Division at Library and Archives Canada. 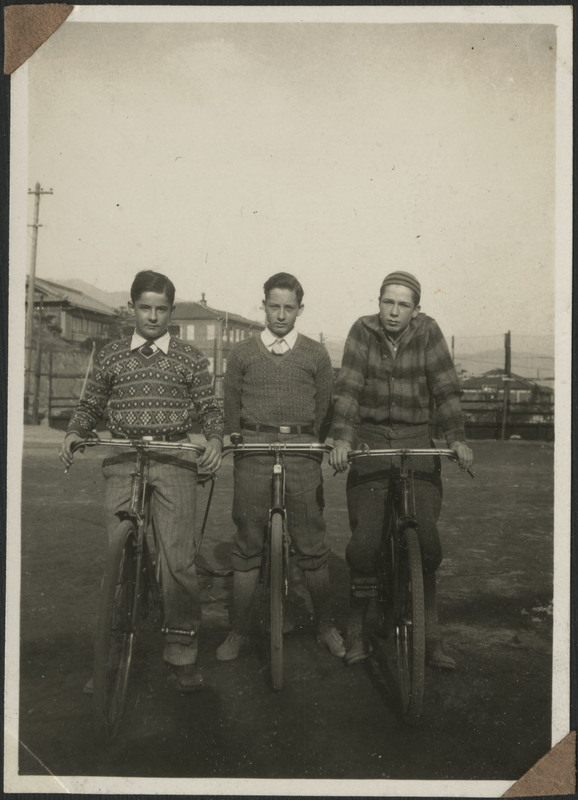 This entry was posted in Politics and Government and tagged ambassador, Arthur R. Menzies, Department of External Affairs, diplomat by Library and Archives Canada Blog. Bookmark the permalink.